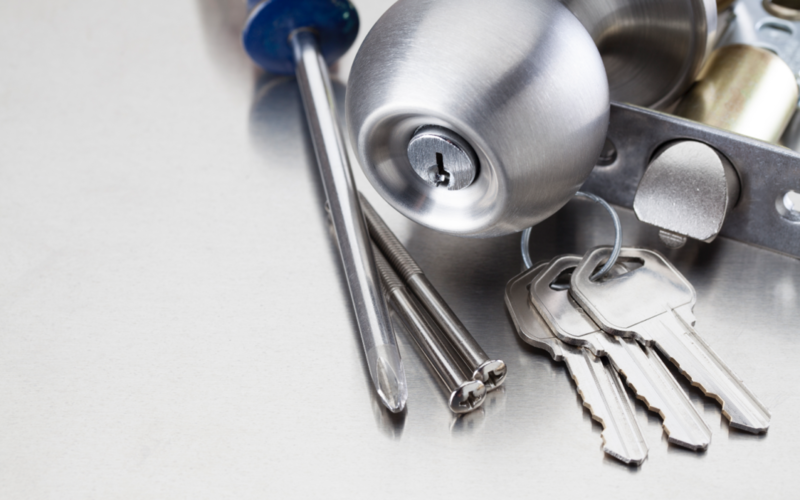 In a very real sense, locksmiths hold the security of your home or business in their hands. Companies with malicious intent or those that simply fail to give their locksmiths the proper training can create a host of issues for those whose locks they service. If you hire one of these shady companies, you could end up in a risky situation including the installation of a lock with a master pin that can be unlocked with multiple keys and a deadbolt that fails to lock. These are some of the reasons why choosing a reputable locksmith is critical. In this day and age of online reviews, it is easy to find out if a locksmith’s work and customer service live up to the claims made on their website and in ads. There are a number of third-party review sites such as Yelp, Facebook, Home Advisor, BBB and Google where you can read feedback from those who have used their services. That said, you should exercise caution if a locksmith has nothing but glowing reviews that strike you as over-the-top. In this case, people from the company or reputation management companies may have posed as customers to write fake reviews. Make sure you read the good with the bad and actually read through them. Not just the latest reviews either, pick some at random. Of course, getting referrals from family, friends and co-workers is still very helpful. If you are in need of a locksmith, ask those in your social circle and at work who they have used and if they would recommend them. This is your chance to ask them the questions that are of particular importance to you. It can help you avoid picking the wrong company and reduce the risk of issues that may occur. Inquire upfront if the locksmith is insured. Doing so is part of choosing a reputable locksmith. Any repair job can cause damage to your property, and if this happens, you want to make sure you are covered. For this reason, locksmiths operating in the state of Illinois are required to carry $1,000,000 liability insurance. For the sake of your safety, ask to see a form of identification or a business card, and make sure it matches the logo on the locksmith’s vehicle. In turn, they should ask you for identification, as well, to verify they are at the right property and that you are in fact the owner of the property. Illinois makes it mandatory for locksmiths operating in the state to hold a license issued by the Illinois Department of Financial and Professional Regulation. Make sure you always ask to see the locksmith’s license. While any legitimate locksmith company will provide basic training, those that truly value skill in their locksmiths will take measures to further their professional development. The Society of Professional Locksmiths (SOPL) and Associated Locksmiths of America Security Professionals Association (ALOA) offer continued training for locksmiths. The men and women who receive this level of education possess the knowledge and skills you want in someone to whom you are entrusting the security of your home or business. You can find members of either group in your area via the directories both organizations offer. Additionally, SOPL members receive photo identification cards they can present to you upon request should you wish to verify their credentials in person. The ID cards include a QR code containing information about their current membership status. You have the right to know how much the work will likely cost. You should obtain this information over the phone before you make the appointment. In order to be accurate, the estimate should include the labor fee, replacement parts and any additional fees you could incur. Be wary if the company either refuses to give you an estimate over the phone or if the charges have suddenly risen when they show up before they even started doing anything. Tell them they are not permitted to do the work if the latter occurs and do not allow them to touch the lock unless you resolve the situation. Remember, when choosing a reputable locksmith, make sure they are licensed, insured and have received positive online reviews. Hawken Locksmith Services meets all of the aforementioned criteria and we are also transparent, dependable, fast and do exemplary work. We understand how important your safety and the security of your home or business is and that is why we are available 24 hours for emergencies. You may have heard of us if you live in DeKalb, Aurora, Hampshire, Sycamore, Huntley, St. Charles, South Elgin, Naperville or the Chicagoland area. We have been serving customers in those areas for more than 20 years. We are also all about transparency and are licensed in the state of Illinois (#191000873) and we carry a $1 million liability insurance policy. Contact us 24/7 at 815-762-4464 or 847-989-4804 to install, repair, maintain and/or upgrade a range of locks, keys, safes, doors, cameras, antiques and security systems.